Do you like the idea of having an alpine holiday home where you would spend your winter and summer weekends but without a long and painful commute? Are you looking for a resort that is easily reachable from international airports? Obviously if you spent all day sitting in the office and then 2 or 3 hours on a flight, spending another 3 hours driving is not the perfect start of a weekend getaway. But you don’t have to! Below we review the 5 ultimate winter escapes, all within an hour drive from Salzburg or Innsbruck Airport. 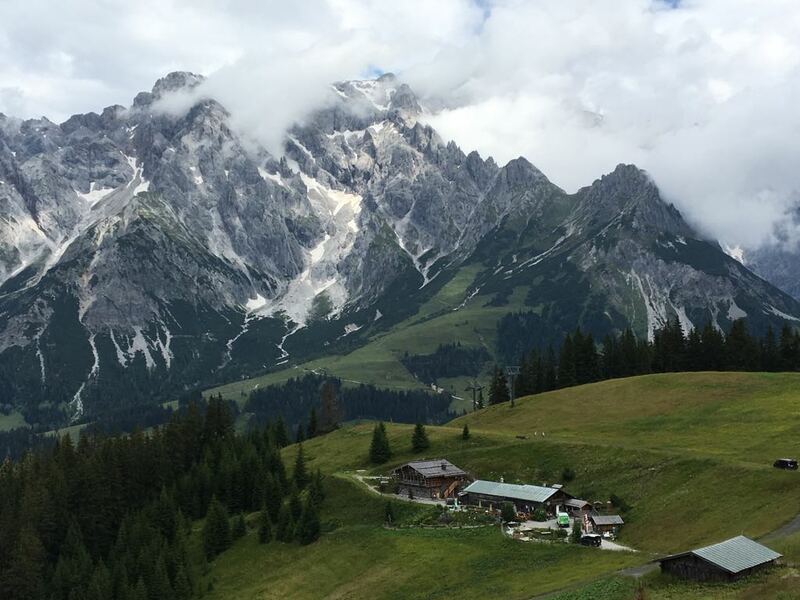 Relatively little known abroad, the Salzburger Saalachtal area is conveniently located on the west from Salzburg airport, so you can avoid the city traffic and be straight on the direct route to this alpine paradise. On your way, it is a good idea to stop at the Reber factory shop in Bad Reichenhall to stock up on the quintessential Austrian sweets, the Mozart Kugeln. The Saalachtal is the home of two mid-sized ski resorts: the Almenwelt Lofer and Waidring / Steinplatte and a third smaller one called Heutal, each offering a very different experience in terms of ski terrain and panoramas. Whilst Lofer is the ideal destination for families with a dense network of wide and easy slopes, the Steinplatte, located partly in Austria and partly in Germany, offers some more challenging terrains and has some extra fun in the form of a 24-obstacle snow park and a coral-shaped viewing platform suspended 70m above the abyss boasting stunning views of the alpine peaks. If you want to try something new, the snow-kiting school in Lofer offers lessons in this exciting sport. For those who prefer to take it easy, the Saalachtal landscape is a magical place with romantic snowy paths, crossing rivers and pastures spotting the occasional ibex. If fine dining in renowned restaurants, designer boutique shopping and strutting on the town colonnade is an important part of your winter holiday experience, aside to skiing on world-class terrains, then Seefeld in Tirol will be the resort of your dreams. Set in the heart of the Tyrol province, Seefeld is a cute historic town with one of the eldest pedestrian zones in the Tyrol. It is an upmarket resort with a vibrant international ambience and an incredible choice of fine boutiques, trendy bars and swanky restaurants. The ski terrain may not be the largest with 37km, but includes some perfectly prepared slopes where ski champions like Lindsay Vonn or Maria Riesch have trained and competed. Seefeld is also one of the best places for an indulging spa time and there is a never-ending selection of treatments, procedures and activities from Kneipp water therapies to yoga classes in the open nature and much more. The 'Snow Space Salzburg' ski area that includes the villages of Flachau, Wagrain-Kleinarl and St.Johann-Alpendorf offers the essential Austrian experience: idyllic mostly pedestrianised villages, welcoming and lively atmosphere and excellent ski and snowboarding conditions. No matter what type of skier or holidaymaker you are, there really is something for everyone as the keyword in this ski wonderland is diversity. Families will love the Winter World in Wagrain with some fun children-friendly slopes, a magic carpet and other attractions for the little ones. The “Devils Route” is also lots of fun for the kids– a forest path through the Geisterberg and the new Ski Movie Alpendorf track. The snow park in Alpendorf is suitable for both freestyle beginners and more advanced freeriders looking for a challenge. The snow equipment is second-to-none, so despite the relatively low altitude, you can rely on the snow-assuredness of the resort. Also, with 7 entry-points from the valley, you will not need to use the ski bus much and queues are minimal even in high season. And should the 120km of directly accessible ski terrain be not enough for you, you are just a short drive away from the many other resorts within the Ski Amadé area and its 760km of slopes. Are you tired of over-crowded industrialised ski centres? Are you looking for rustic charm and genuine relaxed atmosphere ? Then come to Dachstein West. The area is compact and consists of three pretty Alpine villages: Gosau, Russbach and Annaberg, all seamlessly interconnected by ski lifts in winter and well catered for summer sports enthusiasts with countless opportunities for hiking, biking and swimming in the open nature. Despite the vicinity to Salzburg, the area has retained a friendly vibe and a welcoming feeling and provides a great value for money. It is located along the imposing Dachstein massif, which can be seen from miles away and creates a spectacular backdrop. The best way to explore the area is following the “Panoronda”, a 44km long leisure ski circuit offering scenic views on the Dachstein and varied pistes for all levels. The valley is scattered with traditional mountain huts and there is no better way to enjoy a good lunch than on one of the sun-drenched terraces high up on the slopes. 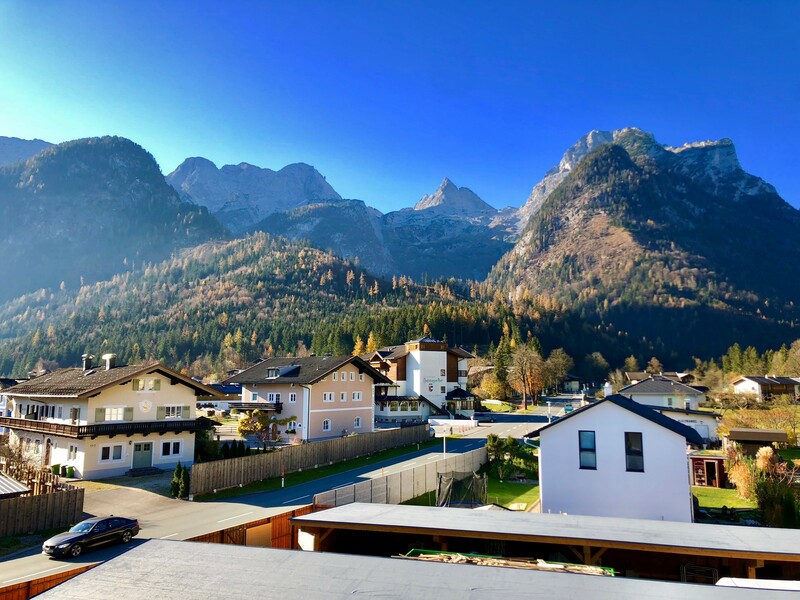 Another peaceful and family-friendly resort just a hop, skip and a jump from Salzburg is the Hochkönig hidden under the majestic mountain range that is lending the area its name. 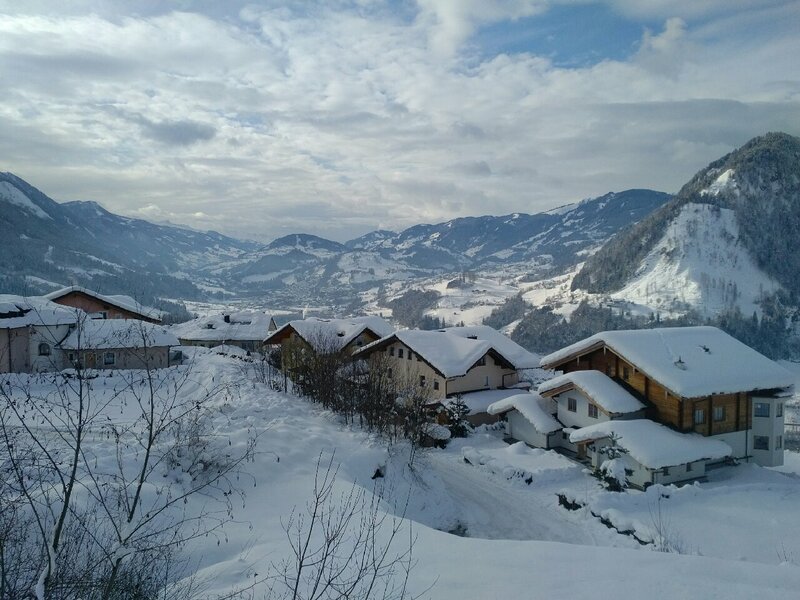 Comprised of three quaint traditional towns Mühlbach, Dienten and Maria Alm, this is a lovely region with plenty of charms across seasons. The ski terrain is rather unusual as it is spread over a very large territory - a great way to discover the different corners is taking the Königstour ski circuit. This 35km long ski tour will take you across 6 summits and offer not only great skiing but amazing views over a changing scenery of the Hochkönig and the Steinernes Meer. After a full day of skiing, you can enjoy a horse sleigh through the magical snow-capped countryside. If you return to this region in summer, you will be amazed by the blossoming meadows full of alpine flowers and the lively atmosphere - nothing like one of those high-altitude ghost towns that you could imagine a ski resort to become out of season. Instead, a varied choice of activities on offer, from culinary tours, to the 1.6km long alpine coaster in the nearby Saalfelden, and not to forget the e-bike infrastructure, one of the best areas to practice this sport in Europe.